Tracey Welson-Rossman has had, by all accounts, a successful career. After graduating from Drexel University in Philadelphia, Rossman bought and sold a $2.5 million company before co-founding a software development and consulting firm where she is now the chief marketing officer. Chariot Solutions grew from 10 people in 2002 to more than 60 employees today. But six years ago, Rossman looked around her workplace and noticed a troubling trend. That’s when Rossman launched TechGirlz, a nonprofit organization that introduces technology like coding, gaming and mobile app design to middle school-age girls both in the classroom and through workshops. The program, based in Philadelphia and now in its sixth year, has reached more than 5,000 young women. Earlier this month, Rossman announced the organization is expanding to Chicago. Courtesy of a $125,000 donation from the technology nonprofit CompTIA, Chicago will have a TechGirlz community outreach coordinator starting April 3 whose primary role will be working with local schools, businesses and communities to organize workshops. Chicago was chosen as an expansion city because of the high volume of requests from local organizations for TechGirlz curricula. CompTIA’s base in suburban Downers Grove was “the icing on the cake,” Rossman said. “What we’re trying to do is raise awareness of how girls can participate in the innovation economy,” Rossman said. Though data from the National Science Foundation indicates that women are increasingly studying and working in STEM fields, they remain underrepresented in science and engineering positions throughout the country. “This isn’t just a social good effort of creating more gender equality within this piece of industry. The fact of the matter is, is if we don’t solve this issue we’ll have a labor shortage,” Rossman said. The United States Department of Labor found that the virtual marketplace will have a major influence over the next generation, and that it will lead to a significant increase in employment opportunities in the tech industry. Eric Larson, a senior director at IT Future Labs, Creating IT Futures and a facilitator of CompTIA's partnership with TechGirlz, agreed that the technology industry is at risk of facing less supply than its employment opportunities may demand. TechGirlz hopes that with its expansion, it will be able to breed the next generation of technological innovators. Jan. 27: About 1,300 high school students completed Project Lead The Way’s college- and career-readiness credentialing program last year. More than 60 of those came from Stevenson High School – the highest total for any individual high school in the country. 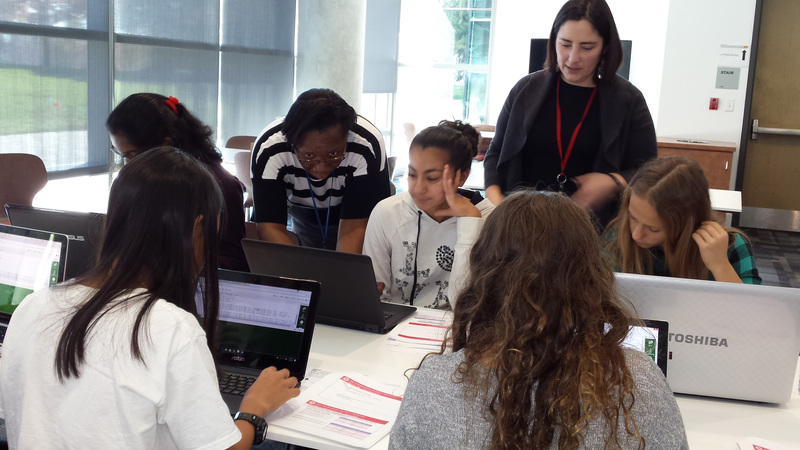 Sep. 1, 2016: With girls and women seriously underrepresented in fields involving computer science, we visit a computer camp that is aiming to change that at the Illinois Institute of Technology.